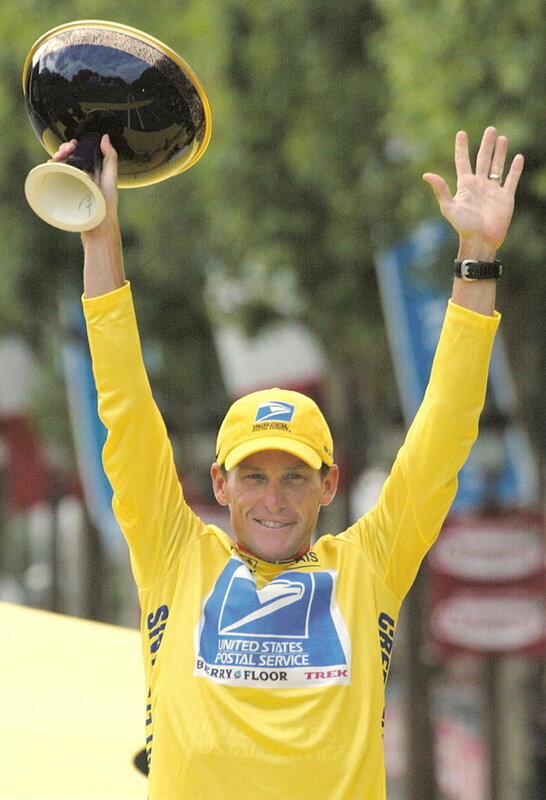 Lance Armstrong long pinky fingers + earth hand shape (-- | -- | -) might give a clue about his ability to 'beat' the most advanced doping-system in sports. "If I doped why wasn't I caught before winning 7 titles?" 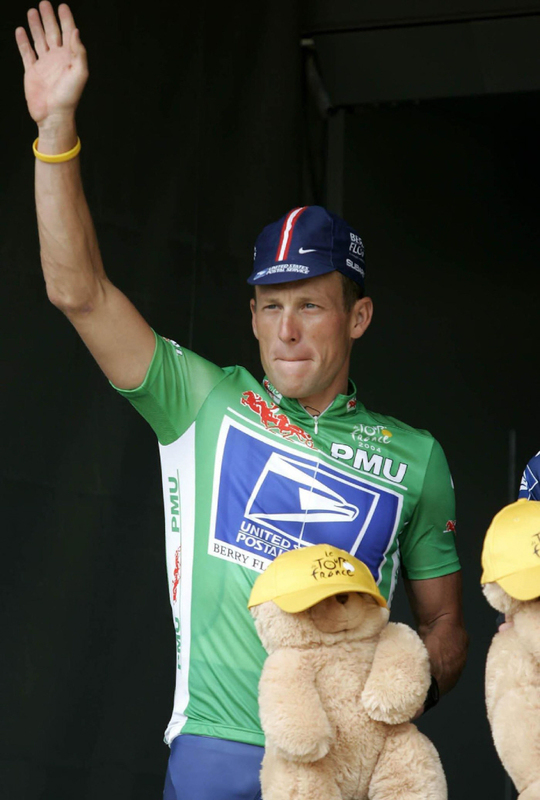 Yesterday Armstrong made his doping confession. Let's hope the sports-world will soon start ignoring this made... who now can permanently be remembered as the most 'successful' fraud in the history of sports. The major difference worth noticing is the difference in the lengths between both his index fingers. In the left hand (in the natural plan) the longer ring finger made him a true attractive sports person. And in the right hand (how he is representing himself to the outer world) the index finger is remarkably longer than ring finger. I see it in the picture in which he seems taking oath placing his right hand on his chest.This induced and forced the burning desire in him to gain power and get too much recognition at any cost up to the stage of madness; and too much of everything is bad indeed. He was living with some ‘hidden sorrows’ that he did not like to share with others. He did as he liked, ruthlessly. He lived like a big fish in small pond, a person who does not accept mistake even if he has done openly. His confidence is great. Lance Armstrong long pinky fingers gave him oratory powers. He, therefore at the same time was capable enough to hide successfully his true feelings, intentions or things so he could influence mesmerize people successfully. Line of Heart is stopping under the middle finger; this made him strong enough to keep the secrets with his heart successfully. Though, he may have high self esteem for himself, but, I will call him a liar. The small bent at the first phalange of the right pinky finger denotes there might have been problems in trust issues too. As this is considered relating to heredity so his father might have faced such problems like divorce or extra marital problems. The longer first phalanges of both the pinky fingers made him visionary, earth hand hard doer and practical that all brought him to reach at the highest goal using left hand talents to their fullest. He is not afraid of confrontation but ready to take the heat of that. He is not alone; I assume that he is surrounded with the people who will support him. He cannot live without them. All in all he wanted to make a difference in the world and he did ruthlessly. Sorry, I think the photo below clearly indicates that the ring finger in his right hand is remarkably longer than his ring index finger. After studying various photos of both hands... I can only conclude so far that there is probably not much difference between both hands regarding the ratio between the index finger and the ring finger. NOTICE: If we measure the absolute lengths of both the index finger and the ring finger in the following photo... we can see that his ring finger is likely slightly longer than his index finger. 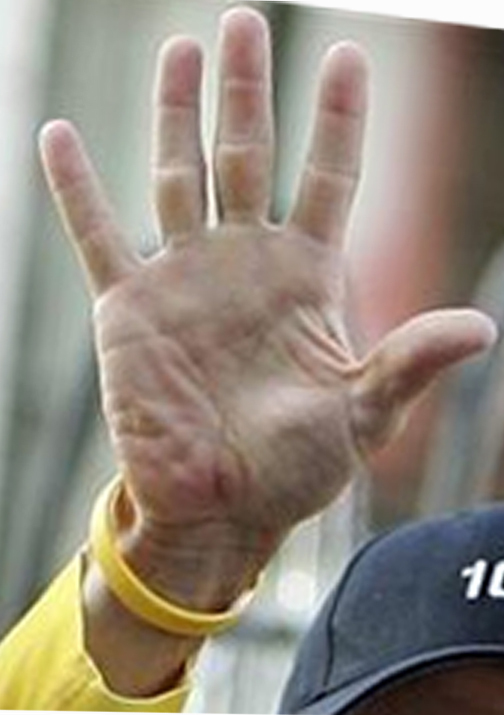 Lance Armstrong's digit ratio in his right hand appears to be close to 0.95, which is quite normal for a white American male. Anyway, I am sorry I did comment on public pictures. These can give false or misleading information. These can easily mislead us. That is why I don’t like to comment on public pictures. I commented because having viewed that particular picture in which he seems like taking oath placing his right hand on his chest - which I have mentioned in the paragraph in the post too. Perhaps this is the only proper clear picture in which he places his right hand on his chest like placing palm of the hand on a paper or sheet in a fixed still and in not moving position which we can taken to study and in all the other pictures his hands are in air waving, moving. You don't need many or various pictures to reach at a conclusion. One clear picture is enough. According to that particular picture, his right index finger seems longer than his right ring finger. However, his LR finger is longer than his LI finger obviously. Thanks for correcting my mistake Parender, I have edited my earlier comment. Regarding the picture where armstrong puts his right hand on his chest: Lance is holding his hat under his hands, which implicates that his fingers are for sure not fully stretched...! And actually, I think it is simply impossible to compare finger lengths via the back of the hand.